Since Rabbi Michael Weinberg came to Temple Beth Israel in the summer of 1987, he has endeared himself to the entire congregation – touching the hearts, challenging the minds, and stirring the souls of young and old alike. Building on the foundation laid by his gifted predecessors, Rabbi Weinberg has distinguished himself as the principle teacher and spiritual leaders of our congregation. He brings deep knowledge of tradition and a profound love of Torah to his teaching in the classroom, from the pulpit, in meetings, in informal settings, on retreats, and on Israel trips. In addition to teaching, Rabbi Weinberg has worked closely with the lay and professional leadership of Temple Beth Israel and its affiliates, assisting, guiding, and inspiring in virtually every aspect of congregational life. Born and raised on the south side of Chicago, Rabbi Weinberg is a graduate of the University of Chicago and was ordained by the Hebrew Union College-Jewish Institute of Religion in 1980. Before coming to Temple Beth Israel, Rabbi Weinberg served for five years as Assistant Rabbi and Director of Education at Emanuel Congregation in Chicago and for two years as Rabbi of Sinai Temple in Michigan City, Indiana. Rabbi Weinberg’s talents have been tapped by many organizations outside our synagogue. He has served in a leadership role in numerous local and national Jewish and inter-faith organizations. He has long been active on the faculty of the Olin-Sang-Ruby Union Institute camp with special attention to Chalutzim – OSRUI’s flagship intensive Hebrew immersion program. 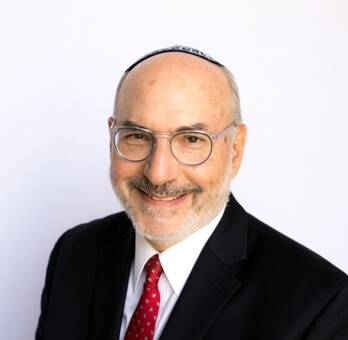 Currently Rabbi Weinberg is part of the Shalom Hartman Institute’s Rabbinic Leadership Initiative and serves as co-chair of the Rabbinic Action Committee of the Jewish Federation of Metropolitan Chicago. 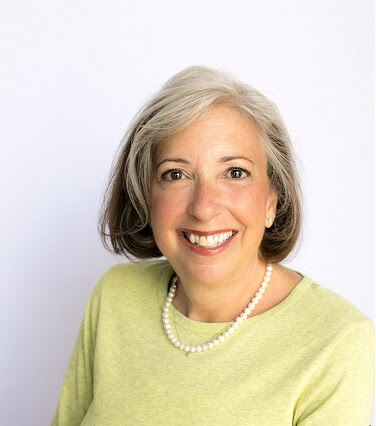 Rabbi Weinberg is married to Jody Weinberg, a Learning Disabilities Specialist and active participant in the life of our congregation in her own right. Together they are proud parents of three children and exceedingly proud grandparents of six wonderful grandchildren. For over two decades I have had the honor of sharing my educational vision with the Temple Beth Israel community. 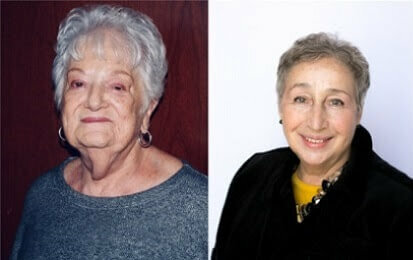 After graduating from the Hebrew Union College Jewish Institute of Religion with a Master’s in Jewish education, I began my professional career in St. Louis, serving as the Director of the Commission on Reform Jewish Education. While in St. Louis, I met and married my husband, Rabbi Jim Sagarin. With no family in the area, we made our way north to be closer to my Wisconsin (Go Badgers!) family. I became the Director of Education at North Shore Congregation Israel in 1988 where I remained until joining the staff at Temple Beth Israel in 1995. In the course of my tenure at Temple Beth Israel, I have led the schools through accreditation through the Association of Reform Jewish Educators. This is something about which I am very proud. Our schools are dynamic and creative. We offer programs for all ages and all learning abilities. Our professional faculty works closely with me as we grow and develop a vast array of learning opportunities. The schools are only part of my responsibility at Temple Beth Israel. As Director of Congregational Learning I work to bring a robust and diverse array of Adult Learning opportunities to our dedicated community of learners. I work with our affiliates and other groups to provide meaningful and inspiring learning for all. My goal is to bring Jewish learning for Jewish living to you and your family in ways that meet your needs and enhance the life of your family. We had the pleasure of raising our two children in the TBI community, a place where they were nurtured and supported and became adults in the eyes of the Jewish community. I would love to help your family experience the values, support, and learning our community has to offer. Please do not hesitate to call on me at anytime to share ideas and to get to know the educational program at our congregation in a deeper way. I began working for Temple Beth Israel in 2011, shortly after our son, Jaret was born. Having spent the majority of our lives living in Michigan, Newell and I felt that in order to pick up and move to Illinois, TBI and this new job would have to be pretty perfect. After spending a few days in the TBI community, we knew we could not pass up the chance to call Temple Beth Israel home. TBI is everything we dreamed a temple could be – warm, welcoming, intellectual and down to earth — a community that values people, relationships and life-long learning. We could not have been happier with our choice and we revel in the friendships that we and our children have made. 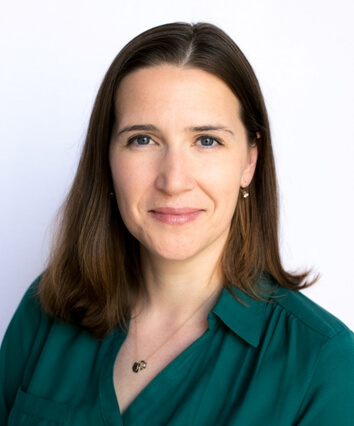 As our Director of Music, you might find me working with Koleynu, our Adult Choir, teaching our 6th grade students how to chant Torah, encouraging you to sing out at a Kabbalat Shabbat or reading a story to our littlest congregants. 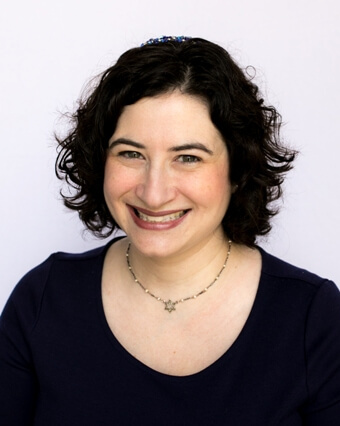 When I am not at TBI, I am active in the local and national Jewish communities through my work as co-director of HaZamir Chicago, and as an officer on the Executive Board of the Guild of Temple Musicians. Before TBI, we called the suburbs of metro Detroit Home. I am a graduate of Hillel Day School and W. E. Groves High School. I received a Bachelor of Music Education from the University of Michigan and a Master of Music from Oakland University. I married my husband, Newell, in 2004 and we are the very proud parents of Hannah Jane and Jaret Evan Bentley. I have the honor of serving the congregation of Temple Beth Israel as the Director of Operations. My husband and I joined TBI before we were married and have celebrated so many wonderful life cycle events at Temple Beth Israel. After receiving my Masters of Arts from Indiana University, I worked in the non-profit world before leaving to have my son and then my daughter. As a member, I had the good fortune to serve on the Board, as well as participate in countless projects throughout congregational life. When we stepped foot in Temple Beth Israel so many years ago, our family knew that we had found our Jewish forever home. Temple Beth Israel is proud to be affiliated with The Union for Reform Judaism. Temple Beth Israel has a rich and exciting history. Get to know us by browsing our historic timeline.